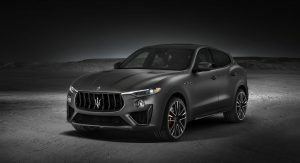 New Maserati CEO Mike Manley is facing a pretty big crisis as the brand’s profitability and sales figures have plummeted this year compared to 2017. According to Automotive News Europe, the Trident-wielding brand’s earnings dropped a staggering 87% in the third quarter of this year, while vehicle shipments fell 19% to 8,800 units and its profit margin dropped to just 2.4% from 13.8% in the same quarter last year. Before all that, the brand was targeting a 14% margin for 2018 and 15% for 2022. It’s clear however that things are definitely not going as planned. 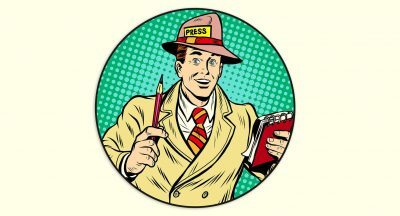 So what did Wester do as his first order of business? 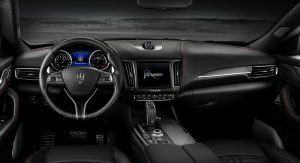 He went and got a former sales and marketing from Ferrari in Jean-Philippe Leloup, who will now lead a new organization called Maserati Commercial. 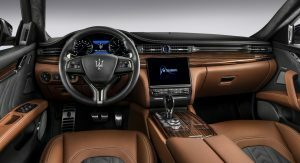 According to JATO Dynamics analyst Felipe Munoz, Maserati’s number one problem is that it doesn’t have any new products to throw at its competitors. 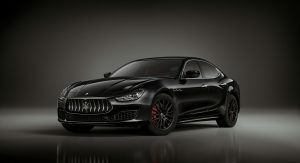 The Levante for example, is their newest model at just two years old. 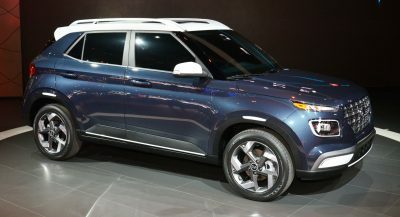 Unfortunately, it competes in the large premium segment, the only SUV segment that’s not growing, said Munoz. Meanwhile, brand new generations of the Porsche Cayenne, BMW X5 and Mercedes GLE have came along to make the Levante feel seriously outdated. With one SUV and three car/cabrio lineup…how da hell you think your products would increase it’s sales quotient??? They should build a Macan competitor. It’s not blatant, but their interiors still have an air of Chrysler about them. The font on the switchgear is the same, the quality of the plastic which is decent, but no better than in a Grand Cherokee, but the worst is the window and headlight switchgear that’s totally parts-bin Chrysler. Switchgear is inherited from Mercedes (and vastly upgraded), not Chrysler, and has been used in AMG models (ML63, GL63 to name just a couple) in the past years. Do your research. Even without Chrysler, their switch gear would still be bad. WOW, the panic has finally set it. At least now they see what they did wrong, but the real problem is that their is no money to fix any of it. All of their cars need an interior/tech update. Exterior styling is fine, I mean even the 12 year old Granturismo coupe is still gorgeous, but completely outdated. 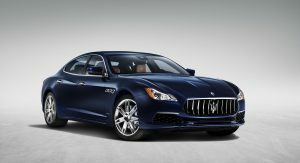 The Ghibili needs a V8, the Quattroporte a V12, put the premium back into Maserati. Leave the mass market to Alfa and Fiat. The Gulia Quad 2.9L V6 should be standard fare in various states of tune, in all Masers. V12 isn’t a ‘Maserati-style’ engine, they’ve always been synonymous with high-revving V8’s in their saloons. Factor in the imminent death of V12’s in general and it just doesn’t make sense. Synonymous with what? You really need to take a look at their history. Maserati had more 6 cylinder engines than anything else, the Ferrari sourced V8 of the past 15 years were the exception. They need a small, premium SUV to really get things going, preferably based on the Stelvio’s platform, and a return to the cleaner styling of previous generation cars. The Levante struggles to sell because it’s so chintzy looking, especially in profile and from the rear. The look of the Levante has nothing to do with why it doesn’t sell. It’s overpriced and reminds you of a Chrysler once you sit inside, that is why it doesn’t sell. It’s outdated tech wise next to the Germans and up until now it didn’t even have a V8. That’s your opinion. I think the current crop of Maseratis, bar the gracefully ageing GranTurismo, are cheap, tasteless and gaudy. Produce junk, price it too high, and wait… Not quite a recipe for success is it? Just ask Cadillac. Maserati isn’t the only brand that needs help. Maserati really needs to come back to European luxury 8: Ferrari, Lamborghini, Maserati, Bentley, Rolls-Royce, McLaren, Aston Martin and Porsche. And this is all. Midsize SUV like Porsche Macan is unworthy idea. Sleep with dogs … and voila the Chrysler TC. That’s a big flea. I think Maserati lost the plot after the Biturbo and third generation Quattroporte. Love the brand and history, but none of the current models excite me aesthetically. Brilliant engines, but we need the quirky, sinister sexiness – and exclusivity – to polish up the Trident’s glory. 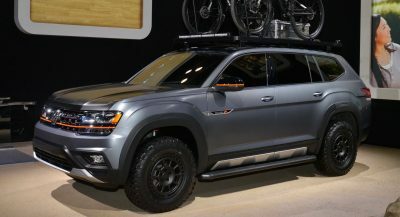 Another niche, low volume FCA brand gets more models thrown at it while losing money. Meanwhile, actual mass-market brands like Chrysler have only 2 models, one of which is the ancient 300. Dodge is also left out in the cold. Maserati already has 4 models. Start spending on the brands that actually make you money before you go bankrupt, FCA. The Levante’s looks are disappointing in the same way the Stelvio just misses the mark design-wise. If Maserati can’t capitalise on the booming SUV market now, then their days are numbered. Two ageing saloons and a grand tourer all badly in need of new generations just ain’t going to cut it in the short term. Agreed. The Levante & Stelvio are both bloated, amorphous, blobby things that fail to suggest any kind of sportiness. I understand where you’re coming from. But, I respectfully have some thoughts. 1. You said that the MB Vito/Metris’ key is the same as the other high end Mercedes cars out there, but some of those high end cars haven’t even switched to the newer version of the key fobs like the Maybachs and AMG GTs and the Metris’ interior is like that of a work truck, it’s made to be a commercial van, not all out luxury. So, the “same switches and key” point isn’t fully true. 2. 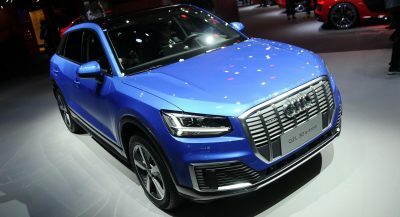 While Audi may own Lamborghini, It’s still a key that was looking the same as some of the Audis, but then again Audi is a premium brand and cares about luxury. They even have the R8 which shares platforms and other things with the Huracan, so I think it’s ok. Additionally, Lamborghini is slowly starting to change the look of the key designs/fobs. If people were accepting it, then we wouldn’t be reading this article. That’s the price you pay for globalization. Becoming mass-market is a catastrophe for any luxury brand, but the temptation must be huge. It isn’t remotely mass market. Mass market brands don’t start with cars at the prices of the Ghibli. 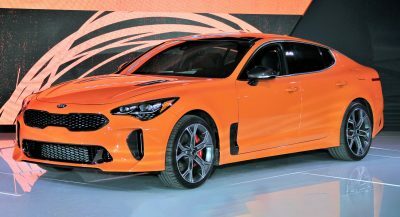 Frankly, they need to make the sedans look like the exotica they are supposed to be. The styling from the rear is almost KIA like in its execution. The grand turismo has aged well and still looks contemporary, but it will eventually need replacing. The biggest thing they need to do is completely overhaul their interiors. The Germans are killing it with stunning looking, high tech and well built interiors. 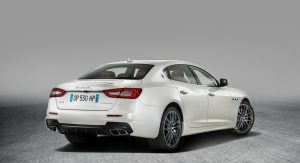 Maserati is still a very evocative and special brand but it needs the effort that FCA put into the Guilia across the entire range. I don’t want to pretend that I could run FCA better than these guys do but hell they desperately need to do much better. Maybe Ferrari can buy Maserati, and use Maserati to take on Tesla and Bentley / Rolls Royce. how old is the Granturismo again? isn’t it literally more than a decade old? New Maseratis aren’t worth their sticker prices. They needed more modern safety equipment, more modern tech (the infotainment systems are a joke) and interiors made from better materials. All of this without any additional price bumps. And another comment from an Internet know-it-all that never seen a Maserati in flesh.